Kehilangan motosikal akibat kecurian. Biar tenang. Theft Loss Gap Benefit dari Parkson Credit adalah manfaat yang akan membayar perbezaan amaun setelah menolak jumlah yang boleh dituntut dan dibayar oleh insurans anda berdasarkan jumlah yang diinsuranskan pada tahun pertama. The Theft Loss Gap Benefit (“Benefit”) is provided absolutely free for Parkson Credit customers who finance their motorcycles through Parkson Credit’s hire purchase financing scheme (IDEAL HP) or the motorcycle credit sale financing scheme (IDEAL CS). This Benefit is the first of its kind in the motorcycle financing industry and provides extra peace of mind for customers. It reduces the customers’ financial burden in the event of a motorcycle loss due to theft and provides financial aid to the customer for their next motorcycle purchase. In the event of a motorcycle loss due to theft, the Theft Loss Gap Benefit will pay the difference between the first year sum insured and the approved sum by the customer’s comprehensive all rider motor insurance policy. Example of Theft Loss Gap Benefit pay-out assuming motorcycle loss in the 2nd or 3rd year, being the difference between the market sum insured for the 1st year and approved sum by the customer’s insurance policy pay-out. ** If the approved sum of the customer’s insurance is able to settle/pay off the outstanding owed to Parkson Credit, the benefit shall be paid in full to the customer. Otherwise the benefit will be used to settle/pay off the outstanding finance and the balance shall be paid to the customer. The Benefit is provided to customers absolutely FREE. There are no additional charges or hidden fees involved. 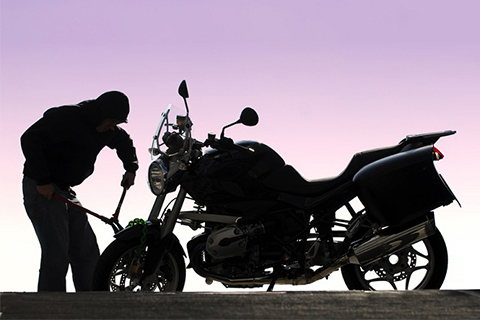 The Benefit pay-out applies only to motorcycle theft loss in the 2nd and 3rd year of financing. The maximum Benefit pay-out is capped at RM3,000. The Benefit period is up to thirty six (36) months from the motorcycle registration date or upon early/complete settlement of the customer’s account, whichever is earlier. The Benefit is available to customers of Parkson Credit’s motorcycle hire purchase financing scheme (IDEAL HP) and motorcycle credit sale financing scheme (IDEAL CS). The customer must possess a comprehensive all rider insurance policy throughout the financing period with the sum insured based on the market value of the motorcycle. The customer’s account must be active during the course of the financing period. An active account is defined as a financing agreement which is not fully settled, early settled, matured, terminated or voided. The customer must have updated any change in the customer’s address or contact information to Parkson Credit. The customer has not breached any provisions of the law governing the motorcycle financing agreement (including but not limited to the Hire Purchase Act 1967 or the Consumer Protection (Amendment) Act 2017). a) Recent repayment history Not more than 30 days of overdue for the last 6 months. b) Entire repayment history Not more than 90 days of overdue throughout the entire course of the financing period. c) At the point of claim of Benefit No overdue on the account. All arrears except monthly instalments yet to be due must be paid at the point of claim. d) During insurance claim period Continuing to make the monthly instalment repayments until the Theft Loss Gap Benefit pay-out. Upon motorcycle loss, the customer must notify Parkson Credit immediately in writing to collection@parksoncredit.com.my using the Insurance Claim Form and police report. Failure to notify Parkson Credit within the stipulated timeframe will cause delays in processing of the Benefit. The customer must adhere to the insurance claim requirements set by their respective insurance company. If the customer’s insurance claim is denied or rejected by their insurance company due to any reason whatsoever as determined by the said insurance company, the benefit shall be automatically void. At the point of claim of the Benefit, the latest updated Terms and Conditions stipulated on Parkson Credit’s website at www.parksoncredit.com.my shall apply and take precedence over this document. During the insurance claim period, the customer is required to continue serving their monthly instalment repayment diligently and avoid any overdue on their account. If the motorcycle is under-insured (not insured at the market value recommended by the customer’s insurance company) the benefit will be automatically void. If the motorcycle is over-insured, the Benefit will pay the difference between the first year sum insured at the market value and the claimable amount paid by the customer’s comprehensive all rider motor insurance policy. Upon submission of the motorcycle loss notification to Parkson Credit, no further action is required from the customer other than the continuing repayment of their monthly instalments until the Benefit is processed. The pay-out of the Benefit shall occur within thirty (30) days after the customer’s insurance company notifies Parkson Credit of their approval and payment of the customer’s insurance claim. The maximum Benefit pay-out shall be capped at RM 3,000.00. The Theft Loss Gap Benefit will not apply in the following circumstances. The Benefit pay-out is RM100 and below. The loss of the motorcycle is caused by anything other than theft loss. The customer is an undischarged bankrupt, have bankruptcy or criminal proceedings current, pending or threatened against them, or are serving a criminal sentence or are on probation. The motorcycle has been used for any illegal activities of which the customer is a party or privy to. The insurance pay-out is approved by the customer’s insurance company is on an ex-gratia basis. The motorcycle has been altered and modified in its construction and structure. The motorcycle has been registered for business use. The Theft Loss Gap Benefit is a special offer provided absolutely free to Parkson Credit customers who finance their motorcycle via the motorcycle hire purchase financing scheme (IDEAL HP) or motorcycle credit sale financing scheme (IDEAL CS). Acceptance of this offer by customers shall be by notification in the prescribed manner (in Point 4.2 above) to Parkson Credit of the motorcycle loss. Parkson Credit may, at any time and at its sole discretion, modify the terms & conditions of the Theft Loss Gap Benefit offer or withdraw the Theft Loss Gap Benefit offer by giving notice on Parkson Credit’s website at www.parksoncredit.com.my. Customers are advised to refer to the Terms & Conditions posted on Parkson Credit’s website at www.parksoncredit.com.my when filing a report and claiming the Benefit upon motorcycle theft loss. The Terms & Conditions for the Theft Loss Gap Benefit are made available by Parkson Credit in English and in Bahasa Malaysia. In the event of conflict between the terms set out in the English and Bahasa Malaysia versions, the terms of the English version shall prevail.